There's a booking site showing what seems to be error prices on flights from Vancouver to Dublin, Ireland for $365 to $385 CAD roundtrip including taxes. The only booking site showing these is CheapOAir. They are a good booking site, but from experience with mistake fares in the past, I don't have much faith that they can actually get these ticketed fast enough for the price they are showing. If you do try to book these, take screenshots along the way. I would expect a call from CheapOAir claiming they couldn't book them. IMPORTANT: Do not call CheapOAir. If there's any chance of these actually being ticketed, calling will prevent that. NOTE: You can also find some very cheap flights from Victoria (YYJ) to Europe at the moment. IMPORTANT: This is the CheapOAir.com website, which is in $USD. The $CAD version of the CheapOAir website (.ca) is no longer showing these. 2. 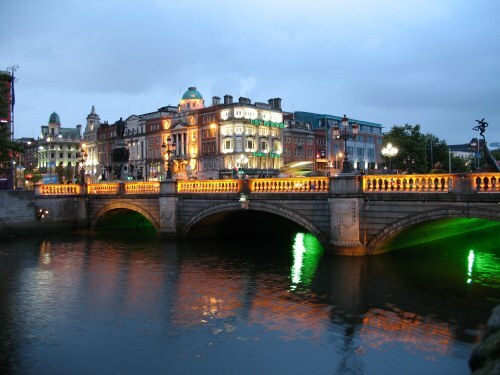 Search for a flight from Vancouver (YVR) to Dublin, Ireland (DUB) or try one of the other European cities listed below. NOTE: You can also find some really low prices from Victoria (YYJ) to Europe at the moment. 3. Try Monday/Tuesday/Wednesday/Thursday dates in the months listed above. You can also try the tip at the bottom of this blog post about using Google Flights to look for cheap date combinations with British Airways, and then try those dates on CheapOAir . 3. Click on the departure date box to open the calendar view and browse for the cheapest dates you can find. Some of them may be over $1000. I am also starting to see reports of confirmations from people that they have actually been issued tickets and can check them on the British Airways website. Update @ 4:57 PM MST - This may be over. Haven't seen any cheap ones in a while. I just saw Vancouver - Dublin for $268 USD, which works out to $344 CAD. ^^ This was November 15 to 22. But keep trying different dates, it's not over yet! vancouver, yvr, flight deals, northern europe, western europe, dublin, ireland, dub and british airways. 26 Responses to "Vancouver to Dublin, Ireland - $365 CAD roundtrip including taxes | various other European cities in the $500s roundtrip"
I just tried it and it didn't work. Prices were the the $700's. Still a great deal though! Can't even get to Montreal for that price! Booked for February 2018 at $384. Confirmed with British Airways. Flight management options working on British Airways site. Am I in the clear? Also booked for February 2018 for $384 and have confirmed the ticket on British Airways. Thanks so much Chris! I didn't look for a Dublin flight but I'm still pretty excited to book BA flights to LHR for $566 in late March, right before Easter (with a quick YYC change on the way home). That's $200+ lower than anything I'd been seeing on Transat. Chris, thank you so much for all you do! Thanks to you, we are able to travel so much more, and save! Looks like I was able to book Dublin for Mar 19-28, $327CAD; got a confirmation email from cheapoair. Is it safe to say there won't be any unpleasant changes to my booking, or does it not really mean a thing??? I think it's too early to be certain yet. I have heard from people who have been able to view their booking on the BA website which is usually a good sign in cases like this, but this appears to be just ending now, so I'm waiting to hear more reports from people that booked these. It sounds like a few people have been receiving calls from CheapOAir, which may be a bad sign. So far I haven't heard from anyone that's actually talked to them! We were able to book Nov 16 - 22 for $328 per person! Amazing deal. Do you think there's a possibility that they'll cancel this? Booked Dublin flights and payed a little bit more to leave on a Friday and come back on Sunday. Log in to British airways and assigned sets already. Payed$1393 for two adults, toodler and an infan. I believe two adults cost $420 each. Thanks Chris! Chris we got a deal done for our dates at $450 for May travel. Thanks a bunch! Hi Chris! Received confirmation from cheapoair, it said they have confirmed booking but where do I find the e ticket numbers to check the flight on BA website! Thanks again for the deal! We just booked Rome in Feb for $612! Thanks so much! Hi Chris, I booked the $266 US fare in January, however, when logging onto my BA account there is a message stating: "Your flight is disrupted - we will keep you up to date. Updates about significant changes to your booking will be sent via email and text message to the contact details below. These details will not be used for marketing and can be changed later in Manage My Booking." UPDATE: My flight is now showing on my BA account and can choose seats. Took 1.5 hrs to show. I just booked minutes ago on the .com site and got the low price. Japan/Australia in December and now Ireland in January. Thanks Chris! Thanks for the updates everyone! It definitely helps. Just booked Feb 27-Mar 21 for $369CAD, YVR-YYZ-LON-DUB there and DUB-LON-DFW-YVR back. All on BA except YVR-YYZ is with WestJet and LON-DFW-YVR is with AA. I was able to login to BA and check status. Hopefully I dont get a call! Quick question. There shouldnt be an issue if I abandon my LON-DUB flight if I wanna start my trip in London is there? As long as I arrive in DUB to start my return flight home, right? If you intentionally miss the leg of a flight, the airlines will usually automatically cancel all remaining legs on the same ticket. Successful yesterday booking BA through Dublin/AA-Westjet return. Selected and paid seats for the long hauls YVR-LHR and LHR-CLT - Price $ 359.00. Great Deal! Newly signed up to your email service - Thanks Chris!! Glad to hear it Fern! These have disappeared this morning from all across Canada. Congrats to everyone who booked one. Have a great time in Europe! And thanks for sharing what you found, it definitely helps not only myself, but everyone who is looking. I booked this last week Thursday and have been able to login to the airlines website and choose seats. But when I look at my cc account it looks like CheapoAir has only charged me for $3.00 CAD -- is this normal? Should I expect the rest of the payment in the next week or so? Shall I call them and inquire? Is my ticket still valid? I booked last week and have been able to login to the airlines website and chose seats (BA has charged me for the seats and this is on my credit card (CC) statement). But ..... when I look at my cc account it looks like CheapoAir has only charged me for $16.00 CAD as opposed to the total charge of $781.42 they emailed me. Should I expect the rest of the payment in the next week or so? Shall I call them and inquire? Is my ticket still valid?